Hello all- so sorry to leave the blog for the past few days but I was as sick as can be with a nasty bug and didn't leave my bed for about 4 days straight. I wont go into gross details, but lets just say it was not a good time. I spent the weekend getting healthy and watching lots and lots of movies so I have no fun updates for you but I have some really bright and cheery photos. 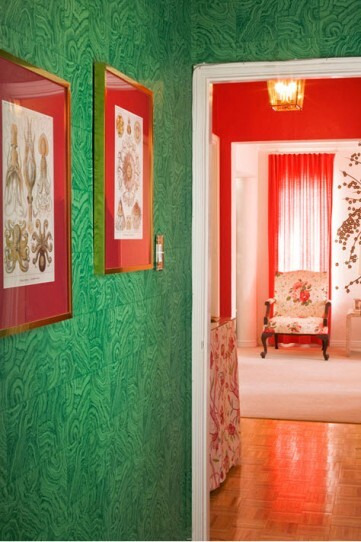 I love color and lots of it, so here are some of my favorite COLORFUL rooms. enjoy! PS- thank you to Stefanie over at A Brooklyn Limestone for featuring my paper mache tray on your blog!! 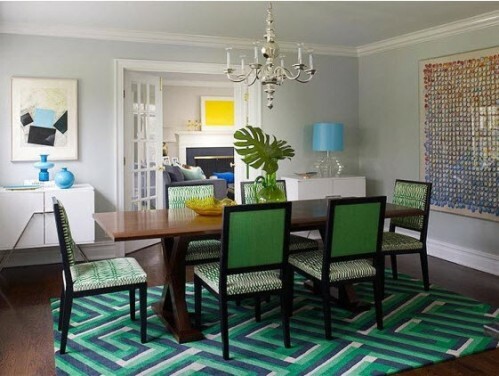 Such cheerful rooms! I am glad that you are feeling better. No fun. 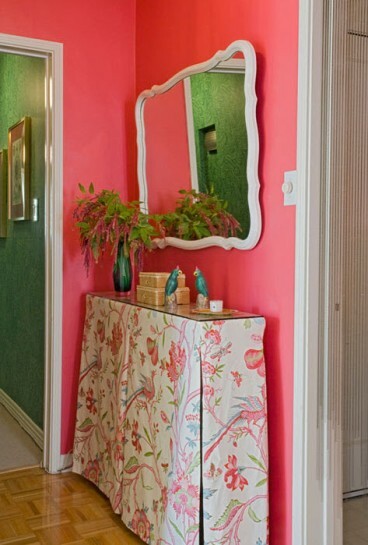 Bright colors like this always make me smile! Im glad you're all better! 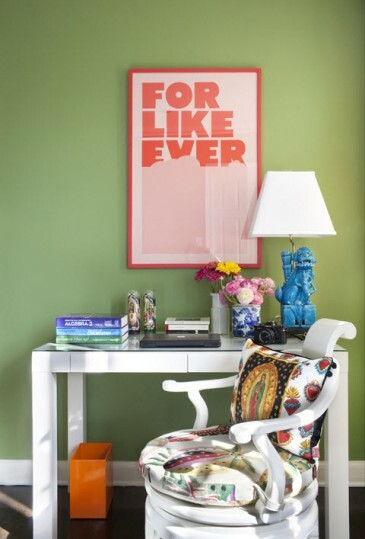 I'm koving the office with the "for like ever" print! The colors are beautiful! Well, hello perky lady! Glad you are feeling better. What fun and spunky spaces to spend a sick day. Hope you are feeling better, I know some nasty bugs have going around! Is there any better medicine when you're sick then staying in bed and watching cheesy Lifetime Movies? Hope you're feeling better. sorry about the goops. we have those a lot over here. Glad you are feeling better. It is a rainy, dreary & cold Monday here on LI & these photos are sunny & warm! Loving all these designs! Hope too you are feeling better soon. 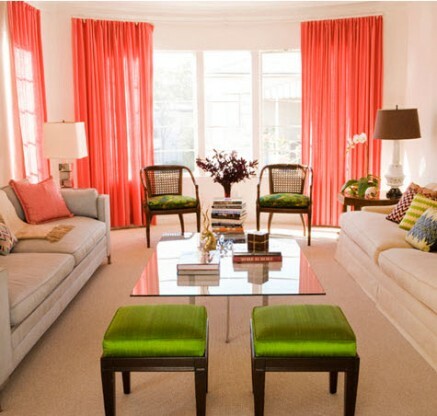 OMG, those grapefruit drapes...could they be any more gorgeous?? Happy your feeling better. I think Anna Spiro's coffee table is my favorite, because it's covered in books! 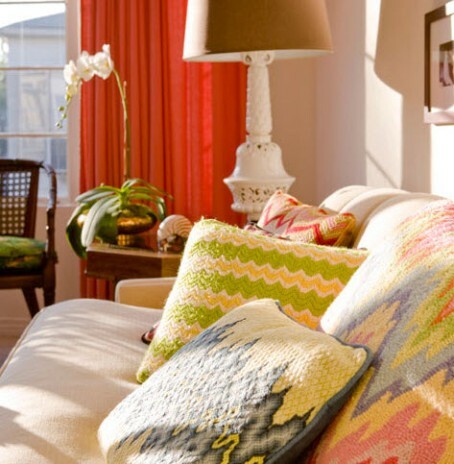 Glad you're feeling better!Such a happy spaces..very refreshing and cheerful colors...unexpected color combos.Its all gorgeous.thanks for sharing all your wonderful resources. its hard not to be happy in these spaces! 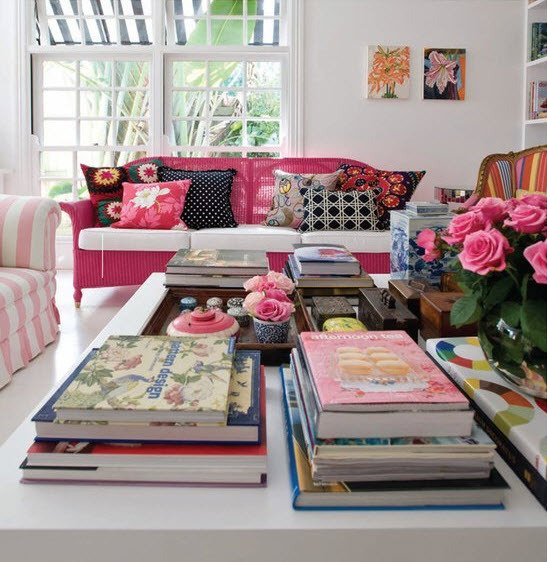 Though I much prefer the pink settee to the pink walls. 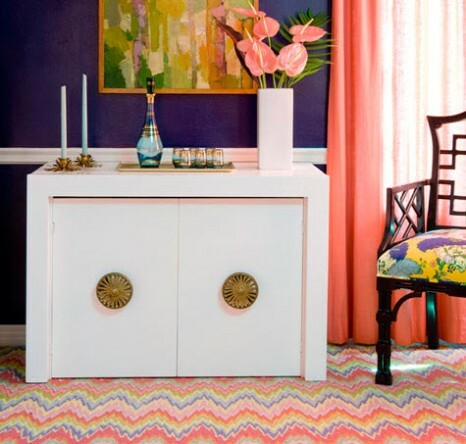 I just painted my desk bright fuchsia- so I'm digging on the bright and cheery vibe. I have a get well present for you: you won the $50 LLH Designs Gift Certificate in my giveaway!!! Just announced it yesterday. You can spend it any way you like. fabulous colors! that would make any sick day a little more cheery!